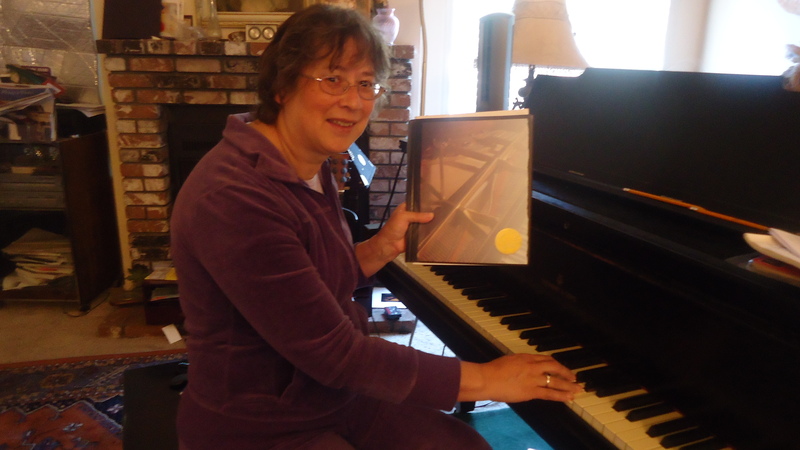 An Adult “Piano Student of the Week” lands the Gold! Today, I launched the piano Olympics.. well not really. No one in this studio of hard-working adults and children is competing for a medal, but just the same, I have shimmering GOLD stickers that are individually awarded to deserving students. 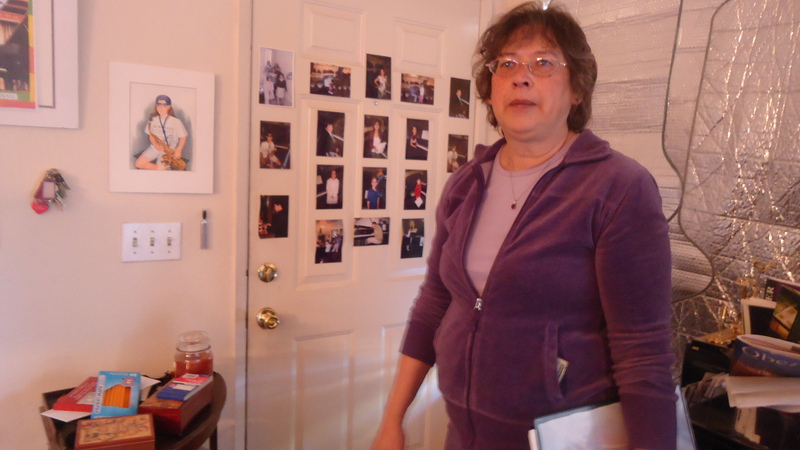 Today, Marie earned her sparkling medallion and proudly displayed it after some prodding. In addition she was added to my Wall of Fame at the entrance way. Here’s Marie in piano karma. Oops, Aiden interrupted her meditation…. 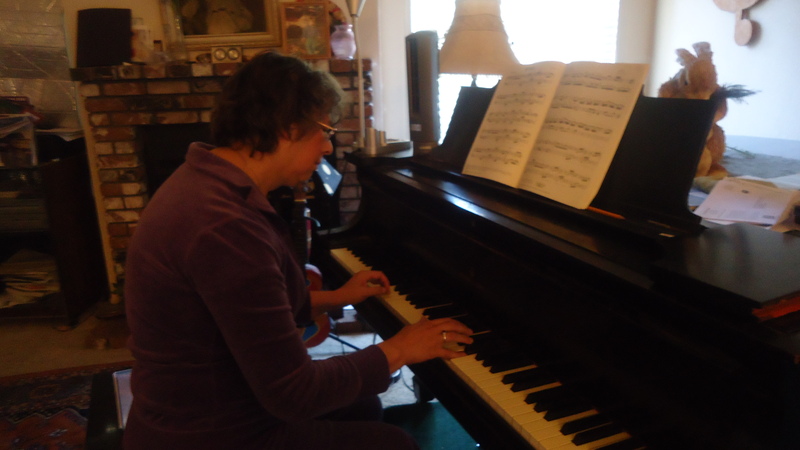 Marie began piano studies at my current studio in approximately 2007 when I had just moved from a knee-crushing cubicle to a civilized space. She’d taken previous lessons, but had a significant hiatus of unknown length. I remember her first lesson well. She had no specific pieces to play for me but was ready, willing and able to embark upon a musical adventure. The enthusiasm was there and remains to this day. Pentascales or five finger positions in Major/parallel minor relationship–all keys. Progress has been steady and satisfying. 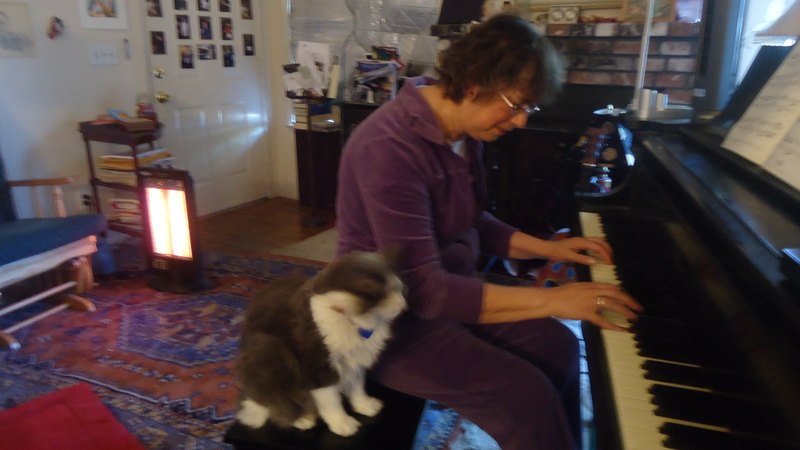 I enjoy Marie’s devotion to the piano, and laud her for acquiring a lovely, resonant Acrosonic Baldwin after letting go of her skittish Kincaid with its built-in handicaps. 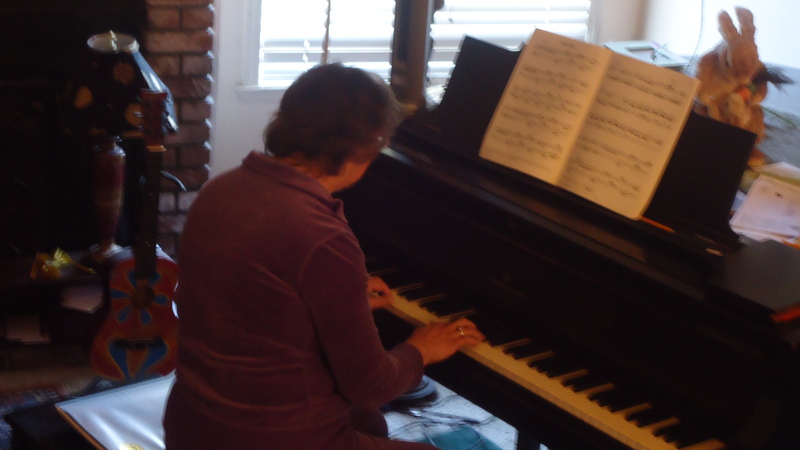 The Acro is kept in tune, and has featured piano status as the centerpiece of her living room. A cage full of cackling parakeets is nearby, and a cat and dog who co-exist harmoniously, join in a chorus of approval while Marie practices. I had the honor of presenting a concert on this very piano for Marie’s mother’s birthday. She was heading toward her 90th, but had a few years to go. 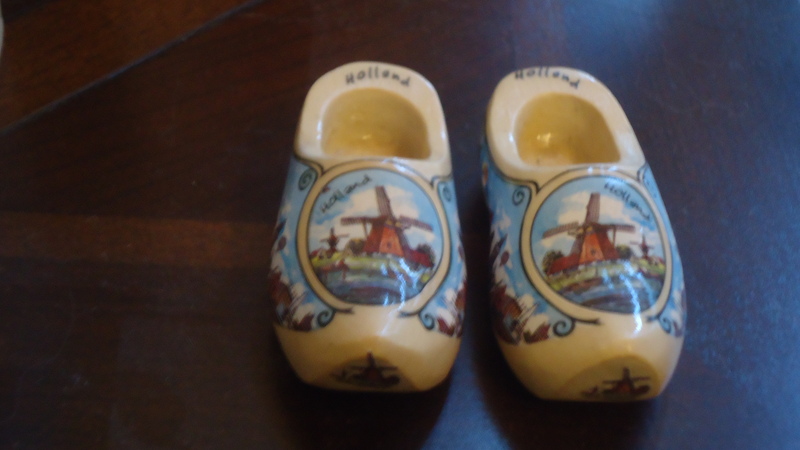 Apparently, mom had quite a musical background and taught Marie a bit of piano in Holland where the family lived. I keep these as a reminder of Marie’s musical presence in between lessons.